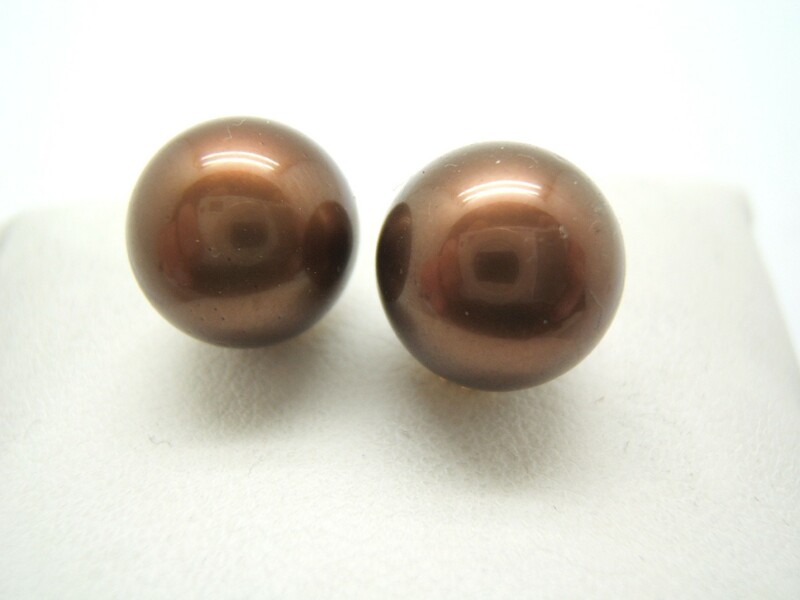 Earrings cultured pearl, color, brown (chocolate) 12 mm diameter, with frame and closing pressure in pure gold 750/000. If You already have white pearls, and also black pearls, you may not be missing a beautiful pair of pearl earrings of this elegant color. Shades of cocoa, coffee and brown with rises in the clear to the dark in all its variety, will cause sensation among your friends, that will be, simply, admired and fascinated.